Send an email to Obama. Stop allowing car makers to use drivers as human guinea pigs in self-driving cars that are not ready for the road. 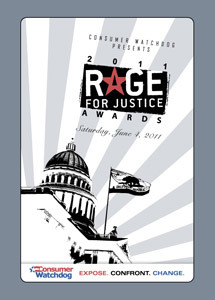 The 2015 Rage For Justice Awards were held Saturday, June 6 at the Beverly Wilshire Hotel, in Beverly Hills, CA. 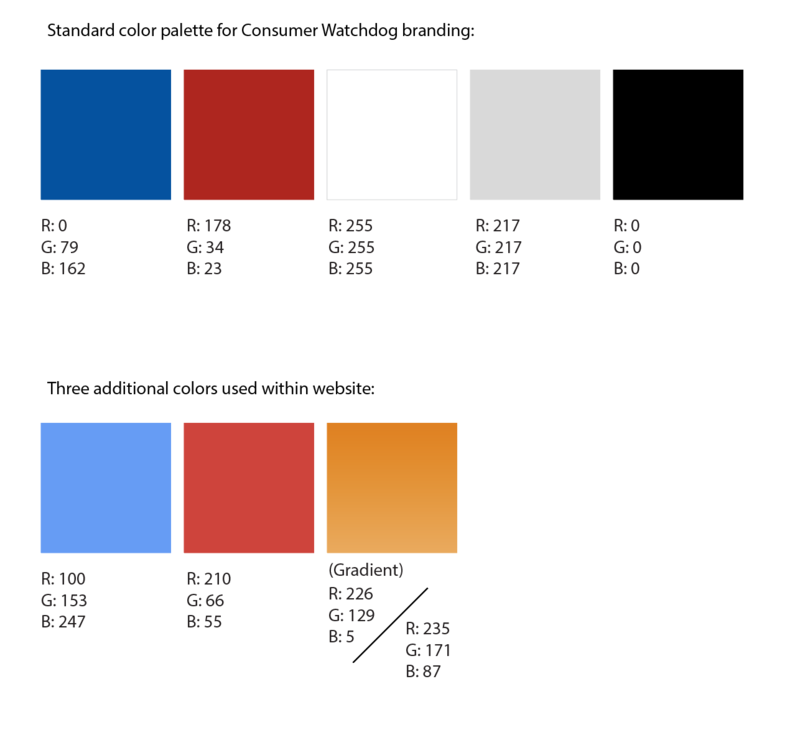 Read more about Consumer Watchdog Bite Back! Debbie Raphael, Director of the Department of Toxic Substances Control (DTSC), abruptly resigned not long before the publication of this report. Her resignation was an acknowledgment of the deep problems Consumer Watchdog previously raised. Watch this video and send an email to the National Highway Traffic Safety Association (NHTSA). 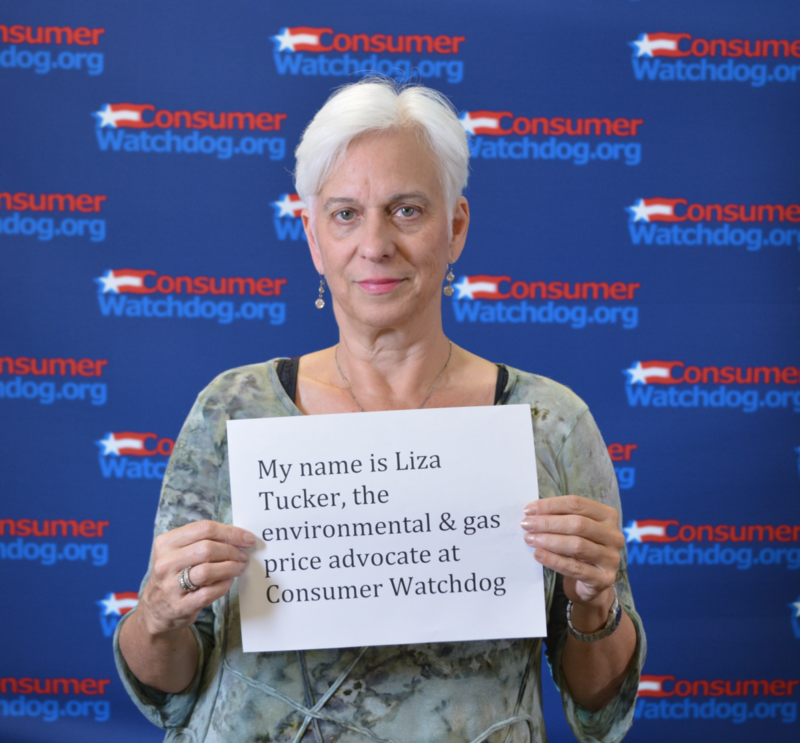 On Thursday, April 30th, 2015 @ 11am PDT, Consumer Watchdog’s Liza Tucker will be hosting an AMA on Reddit to discuss the gasoline market. California has some of the toughest environmental laws in the nation, but some of the weakest enforcement. Toxic pollution emissions to soil and water rose ten percent in 2011, after steadily falling since 2007, according to the US EPA. Toxic pollution is affecting communities across the state from heavily industrial working-class communities to bedroom communities built on old farmland. Golden Wasteland is a six-month long study by Consumer Watchdog of The Department of Toxic Substances Control (DTSC) and the job it's doing to protect Californians and the environment from toxic harm. Based on interviews with DTSC staff, present and former, as well as environmental lawyers, prosecutors, advocates, consultants, and affected communities, it is clear that the DTSC is falling down on the job. We have some of the toughest environmental laws in the nation, and some of the weakest enforcement. Thank you for demanding change from your California representatives and the Governor. We know that any movement to detect and discipline dangerous doctors will undoubtedly bring protestations from the medical establishment, but with your grassroots support and the truth on our side, we know that we will ultimately be successful. Proposition 33 is a deceptive proposition bankrolled by $16 million from one insurance company billionaire that would roll back consumer protection laws that have protected Californians for 24 years. If this sounds familiar, it’s because Prop 33 is almost exactly the same as a proposition that California voters already rejected in 2010, Prop 17. Read more about Is Your Doctor On This List? Thank you for your contribution! We are only able to sustain our efforts thanks to the generous support of people like you. We'll be in touch soon with news about our upcoming battles to protect your rights and your pocket book. Read more about Thank You For Taking Action! Your email in support of a Consumer Privacy Bill of Rights has been sent! Your email in support of a Consumer Privacy Bill of Rights has been sent to your representatives! We'll keep you updated on new developments. We can't appreciate your support enough. 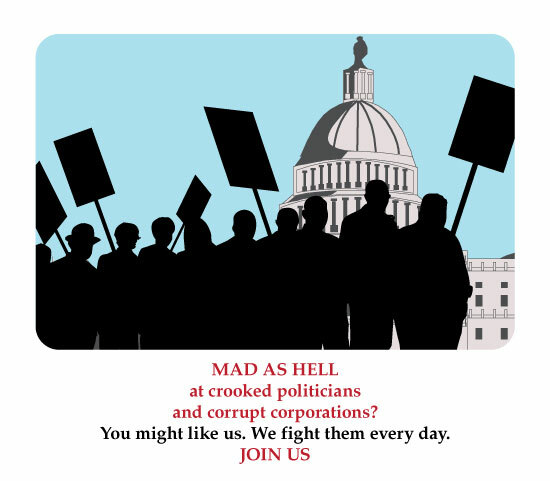 Big companies have their money and their lobbyists; we have our votes and each other. First, share our action with your friends. Read more about Your email in support of a Consumer Privacy Bill of Rights has been sent! Do you think health insurers should be required to publicly justify their rates? Sign up for a California ballot measure that will make health insurers publicly justify their rate increases before they take effect. 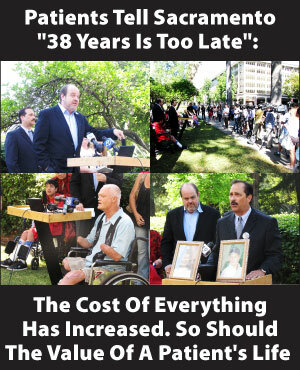 The insurance industry will spend millions of dollars on deceptive advertising claiming Prop 33 will save everyone money. We can't match their money and flashy television ads, but with your help we will win the way we always do: With personal stories and grassroots power. Do you have a video camera or a webcam and access to a computer? Then our response to Prop 33 starts with you! 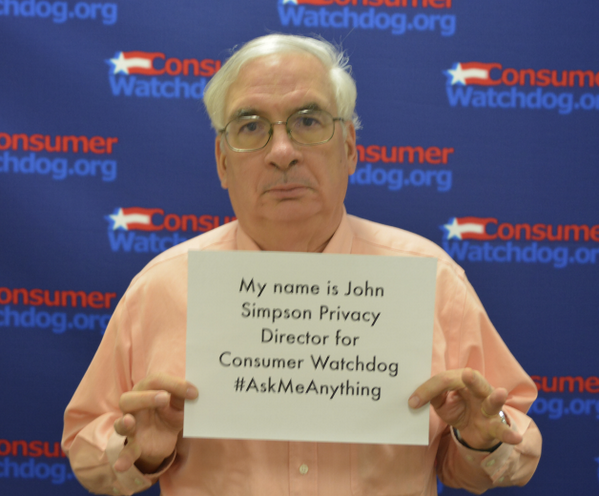 On Friday, March 21st, 2014 @ 12pm PDT, Consumer Watchdog's Privacy Project Director John M. Simpson will be hosting an AMA on Reddit to discuss online privacy and how current and future laws should be adjusted to protect users' information online and from other cyber threats. On Wednesday, February 12th, 2014 @ 12pm PST, Consumer Watchdog's Executive Director Carmen Balber will be hosting an AMA on Reddit to discuss to discuss how Obamacare will affect health care rates and what can be done moving forward to keep them from jumping to unaffordable levels. Since 1975 the value of everything has gone up, except the value of a child’s life. A cap that doesn’t adjust for inflation was flawed from the day it was signed. 38 years is too late not to do something about it. Thanks for telling your state insurance commissioner to stand up for consumers! Thanks for telling your state insurance commissioner to stand up for consumers, not health insurance companies. We’ll let you know what happens. In the meantime, you can have a bigger impact by asking your friends to take action too. Read more about Thanks for telling your state insurance commissioner to stand up for consumers! Read more about Get Our Free Mobile App! Shouldn't Doctors Pee in a Cup Too? Consumer Watchdog is working on the Troy and Alana Pack Patient Safety Act to adopt stronger patient safety regulations, including the requirement for doctors to pee in a cup. For more information on the act or to join the campaign visit http://packact.org. And make sure the watch the entire Pee in a Cup: The Musical below. Read more about Shouldn't Doctors Pee in a Cup Too? Thank You For Signing Up for "Yes, They Really Know It's You!" Read more about Thank You For Signing Up for "Yes, They Really Know It's You!" Thank You for joining the fight for premium regulation in California! Thanks for for offering to help us bring premium regulation to California! Read more about Thank You for joining the fight for premium regulation in California! Thank you for joining campaign to hold the health insurance industry accountable! Thank you for signing up for our campaign to hold the health insurance industry accountable and to offer Californians an alternative to private insurance companies. Read more about Thank you for joining campaign to hold the health insurance industry accountable! Thanks for signing up for our alerts and updates! Read more about Thanks for signing up for our alerts and updates! I want to help with a California ballot measure that will be on the November 2014 statewide ballot, that will make health insurers publicly justify their rate increases before they take effect. Please keep me informed and let me know what I can do. You can also visit JustifyRates.org to keep up with the latest. "How Health Insurance Rate Regulation Can Lower Premiums and Save Health Reform"
On Wednesday, May 11, 2011, Senator Dianne Feinstein joined Consumer Watchdog at a newsmaker briefing on Capitol Hill on what can be done in Congress, the states and by HHS to strengthen regulation of health insurance rate hikes and hold down costs under health reform. Read more about "How Health Insurance Rate Regulation Can Lower Premiums and Save Health Reform"
Thank you for your generous support for the 2011 Rage for Justice dinner! 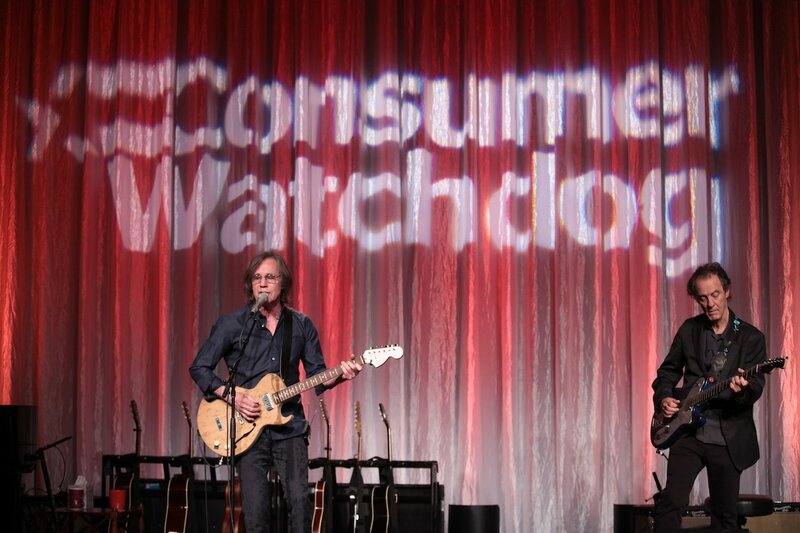 In addition to honoring two California heroes, we will be celebrating Consumer Watchdog's 25th Anniversary. We are very grateful for your participation. We look forward to seeing you on June 4th. Our staff will be in touch shortly to confirm your reservation. Thanks for signing up for our Consumer Watchdog's 2011 Goals conference call on Friday, March 11, 2011 at 11am Pacific / 2pm Eastern. We'll send you a call-in number and reminder email on Friday morning. Read more about Thank you for joining the discussion!